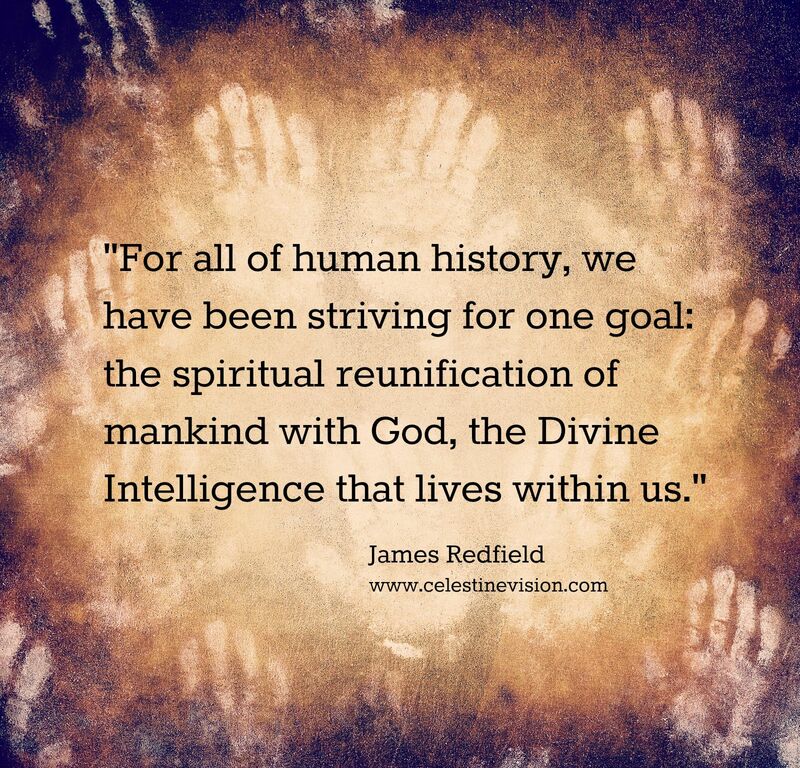 I often start The Celestine Vision Radio Show with a comment about “The Big Picture” of human spirituality. This statement is important because understanding the larger view of humanity’s journey on Planet Earth helps us sustain our own Divine Connection more easily. What is this Big Picture I’m talking about? 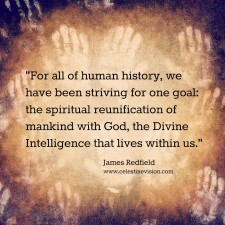 It is the understanding that in all of human history, we have been striving for one goal: the spiritual reunification of mankind with God, the Divine Intelligence that lives within us. In addition, I would argue that once we tune into the experience of spirituality ourselves, the nature of this evolution becomes completely self-evident, especially in how we individually participate in pushing this journey along. Of course, some people would refute what I’m saying by pointing to all the conflict and despair in the world today. They would argue that we’re not progressing at all; we’re in fact getting worse, as though the dreaded “end times” are already upon us. 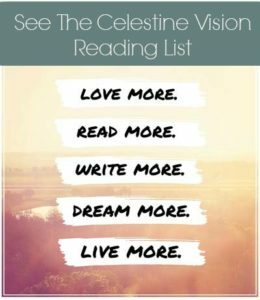 I would counter that what they are seeing is merely a temporary transition from an old materialistic outlook to a more experiential based, spiritual point of view. However, this moment in our spiritual evolution may be one of the most important steps of all. Here is what I mean. We are in fact in between world-views, with one ethos dwindling in energy, and another one gaining momentum, but not yet dominating. So, on one hand, you see people growing ever more disenchanted with the material, secular life, feeling as if something is missing, and that survival and success are getting harder, not easier. Along with that is a dwindling confidence in all the working parts of the material life: government regulation, banking integrity, and honest negotiation. 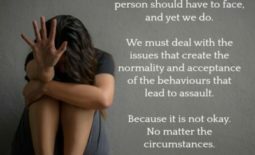 It all seems to be degenerating into corruption and mind-boggling ideology from the far left, far right, and other various religious aspects. On the other hand, in competition with this fading secular outlook is a budding new world-view, one based on a more direct spiritual experience that seems to resolve all the weaknesses of the old system. This deeper spirituality is characterized by a centered sense of peace and energy. A guiding intuition that, once discovered, puts us in the right place at the right time; an ongoing flow of Synchronicity that brings us near miracle solutions and opportunities. This kind of transcendent experience is being perceived across all religions and cultures, and transcends, even as it honors, past traditions. It is about the souls awakening to a true spiritual experience that trumps everything else, and once found, seems like a completely inevitable occurrence in that it makes life easier in these trying times. So things aren’t getting worse. We are just temporarily divided into two groups: those who are finding a genuine spiritual experience, and those who are still stuck in a materialism that denies this kind of perception out of hand. It is this latter group that is finding itself depressed and conflicted, and taking up most of the nightly news. Yet their despair and anger is just a signal that at this moment in history, we are all being called to something new.